Our pastor, our shepherd had left us. He’d said goodbye and we didn’t know what all of this would mean for us and the future of our church. His unexpected departure came as a result of moral failure in his life. The combination of these two words bring utter devastation and unimaginable consequences. As humans, we want to be good. We want to make the right decisions. We want to be moral. But we’re limited and we’re broken in our humanity. There will be times when we make choices out of our limitations and because of that brokenness, these choices will fail us and those we deeply love, influence and care about. Pastors are shepherds at heart. By definition, their role moves them at their core to guard, guide and tend to the spiritual well-being and development of the people around them. They’re hard wired to speak the truth in love. They constantly invite us to consider the unlimited grace and healing God offers to surrendered hearts. But who will shepherd the shepherds? Who do they go to when they need protection from darkness and evil? Who do they open up to in vulnerability when their hearts are heavy and their competency can no longer surpass the deficits in their character? 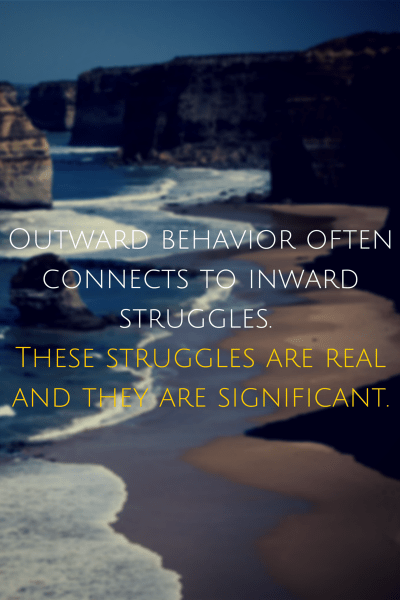 Outward behavior often connects to inward struggles. These struggles tap into deeper parts of our stories where well-hidden pain, inadequacies, secrets and even traumas continue to reside as backdrops to our adult selves. These struggles are real and they are significant. Sometimes our shepherds, our leaders, our influencers will fall and fail. We are not immune from falling and failing too. But grace says they, along with us, in our own stories of brokenness and failure do not have to stay in failure. Grace pulls us up and provides arms of strength we can lean into as we walk the road of recovery toward healing. Grace never gives up on us. Grace always gets down into the muck and nasty mire of our lives and offers open hands toward freedom and forgiveness. This post is part two of three where I will share more of my experiences through this loss and what I’ve learned about God, his church and his people. What does grace mean to you? Do you find it’s easy to give grace to others when they fail? Is it harder to give grace to yourself when you fail? *Sharing is caring. If you know someone who would be encouraged by this post, please share it on your social media profiles. Not sure I’ve ever seen that entire interview. Makes me teary watching and listening to them. Love and miss them so much. Miraculous and marvelous what they’ve shared and been through. Thank you Mel. Love how you approached this and the spot-on questions you ask. Who will shepherd the shepherds? It is the definitive question we struggle with in all ministry. Thanks for the insights, Mel! Aww thank you sweet one for these words.